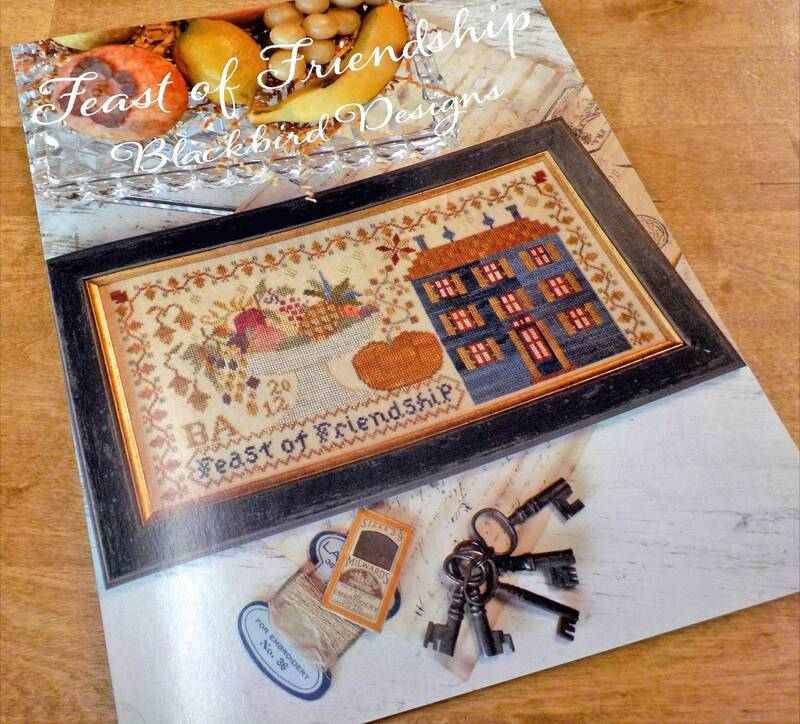 Feast of Friendship by Blackbird Designs...cross-stitch design. This sampler has it all...a bowl overflowing with fruit, a home, a pumpkin, and "Feast of Friendship" is stitched across the bottom. It is a simple reminder of what is important during the season of Thankfulness and perfect for displaying on your mantle, side table, or hang in your favorite place. Feast of Friendship finishes at 12 5/8 x 6 1/8 inches. Pattern is stitched on 30 count linen.